i'm back this week after last week of no blogging. it was a crazy week. 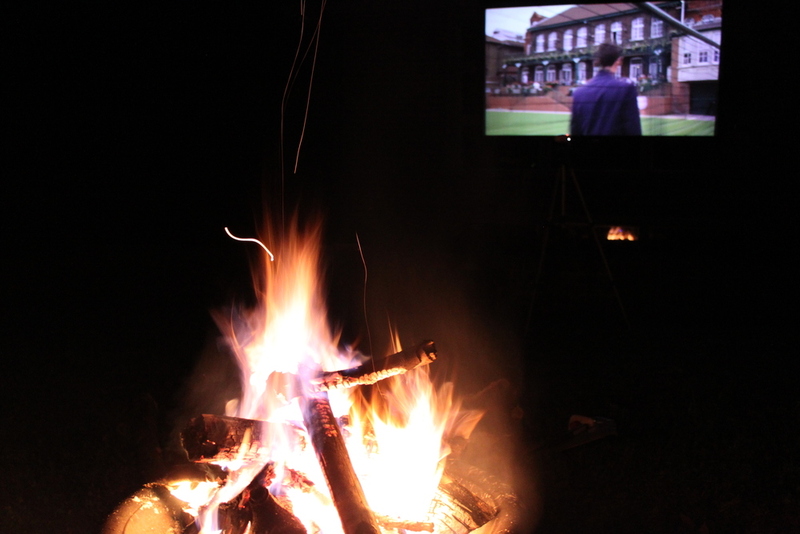 to relax during this time of year, we love to pull out our adirondack chairs and have an outdoor movie night. at the beginning of november before the leaves had fallen, instead of our typical date out at a restaurant or movie we decided to stay in. our s'mores essentials are simple: marshmellows, graham crackers, nutella or reeses cups, fruit preserves, and roasters. when we host movie nights, we like to have options for everyone to get something they like. we recently invested in a projector screen and roku player to stream movies and have really loved it. we hung simple s hooks indoors and outdoors to mount our projector screen. all you will need is a roku player, speaker, and screen or white wall. we used a sheet with grommets for a long time to save up for the screen (which was surprisingly inexpensive). josh made these adirondacks for us to enjoy year round and they are so comfortable even for a 2 hour movie. i will be doing a tutorial on how to build your own adirondack chairs soon!